James Mangold is one of the best directors working today. It is so refreshing when a director has the ability to cross genres as effectively as James Mangold has. He has had vast success directing drama, romance, western, thriller, musicals, action-adventure, and maybe most famously, comic-book movies. In 2019, James Mangold will be giving us Ford Vs. Ferrari. It tells the story of Ken Miles and Carol Shelby (Christian Bale & Matt Damon respectably). In 1966, they had a severe rivalry in their attempts to win Le Mans. If Mangold’s filmography is any indication, we are definitely going to be in for a treat. As we wait for his next solid feature, let us look back at all James Mangold films. Here is a ranking of all of his movies. In his sophomore effort, James Mangold reached for the stars. He actually got a lot of them in his movie. 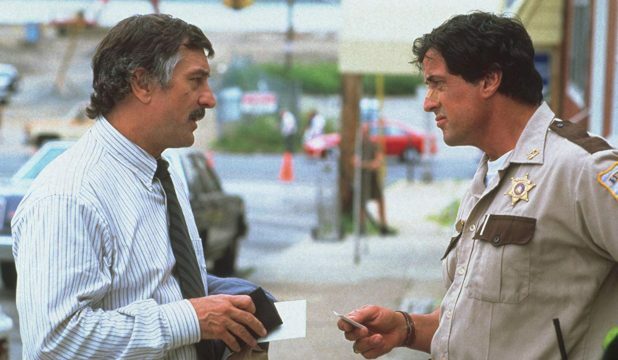 Stallone, DeNiro, Keitel, Moriarty, Rappaport. Cop Land has one hell of a cast. Unfortunately, the film is overstuffed. On one hand, Cop Land is a story about a bunch of cops living in a quaint, small town as a loophole on their job. On the other hand, there is a story about a cop shooting unarmed teens by accident and the internal affairs investigation that follows. Then there is a mob-affiliated tough guy covering up the shooting for some reason. Then there are crazy affairs and unrequited love. James Mangold is a very good writer, especially with dialogue, but Cop Land really missed the mark. 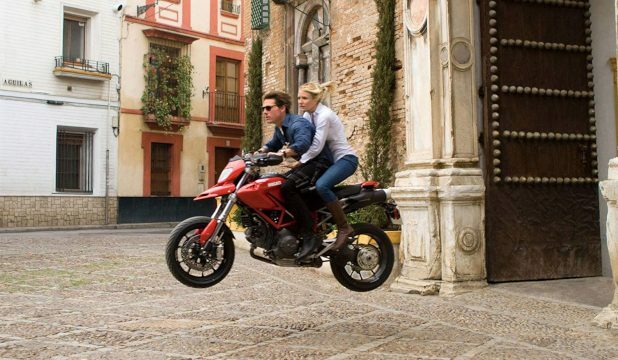 Teaming up for this first time since the superb Vanilla Sky, Tom Cruise and Cameron Diaz are the stars of Knight and Day. Sure, there are some solid action sequences in the film. However, Knight and Day is a perfect example as to how action and directorial prowess is not enough to make a tolerable movie. The plot developments are so absurd in this movie that it quickly becomes tiresome and convoluted. There isn’t a better action star in the world than Tom Cruise, and you can not make an argument otherwise. But this mess of a movie just didn’t click. It looks good and it sounds good. But, it doesn’t gel. Pete & Dolly’s is a sad and lonely roadside diner. Victor (Pruitt Taylor Vince) is the introvert whose mother, Dolly (Shelley Winters), owns the establishment. Victor makes pizzas. Dolly sits in the kitchen sorrowfully reminiscing. Delores is the aging waitress who slept with Dolly’s husband many years ago. The place is also chock full of regular layabouts and alcoholics, all more lonely and sorrowful than the next. That is until Liv Tyler shows up and simultaneously seems to give everyone hope. James Mangold wrote and directed Heavy, and it is his directorial debut. It is simple and dreary, but it can also be clever and life-affirming. This is certainly the smallest film on the director’s filmography but it was a worthy rookie effort. When you look at James Mangold’s filmography, you see a bunch of heavy, dark, violent movies. Kate & Leopold is a perfect example as to how the man can handle almost any genre he tackles. This film is as saccharine and light-hearted and it is nearly impossible to not be seduced by its charms. Hugh Jackman plays Leopold, a Duke in 1876 New York. Now try to follow this. He is an elevator inventor, his physicist friend (Liev Schreiber) has created a time portal at the Brooklyn Bridge, and it sends Leopold to 2001 Manhattan. Not only that, but elevators are going haywire because Leopold never handed in his patent before he time-traveled. Then Leopold meets Kate (Meg Ryan), a modern career woman who knocks Leopold off his feet. Jackman and Ryan’s chemistry is what holds the entire film together. It is infinitely understandable why these two fall in love. As out of the box Kate & Leopold was in James Mangold’s career, equally out-of-the-box was 2003’s Identity. Making a film with such a lofty premise was a huge gamble. The twist will not be spoiled, but it is a twist whereby half of the audience will love and half of the audience will despise. The story is told in two parts. One part involves hearings discussing if the evidence in the trial of a convicted killer was withheld or mishandled. The other part involves a glorious cast of characters stranded at a motel who seem to be getting murdered one by one. John Cusack, Ray Liotta, Amanda Peet, Alfred Molina, John Hawkes star. As a thriller, Identity is superb. Everything unfolding in the motel is scary, spooky, thrilling, and very Hitchcockian. Throughout the film, James Mangold brilliantly toys with the audience. We all strive to understand the connection these two stories have. When that moment finally comes, it is a doozy. 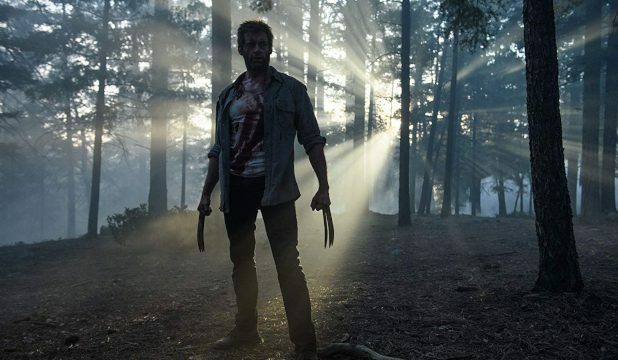 Though not quite to the level of Logan, The Wolverine elevated the character from his poorly received 2009 film to a level where the character could be proud of. 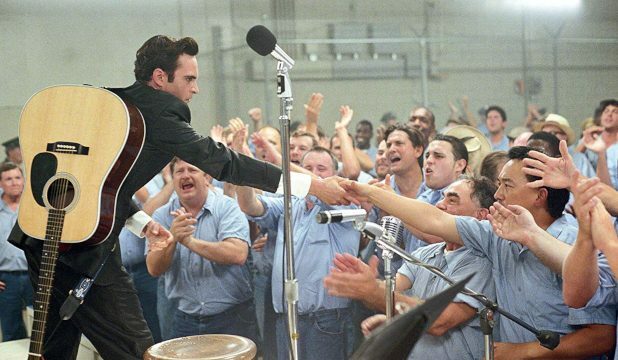 Coming only one year after the critically acclaimed Ray, James Mangold’s Walk the Line provides the perfect one-two punch of musical biopics. The film follows the biopic formula to a tee, it feels fresh. This is certainly due to the performances of Joaquin Phoenix as Johnny Cash and Reese Witherspoon as June Carter. That is not to take away from the direction of James Mangold. He sweeps and swerves the camera with ease around the performance sequences and keeps it still and intimate during the emotional parts. With Walk the Line, Mangold reiterates how he can handle all sorts of cinematic styles and genres. The music of Johnny Cash is deliberate, coarse, and energetic; a quality that Mangold certainly injected into his narrative. 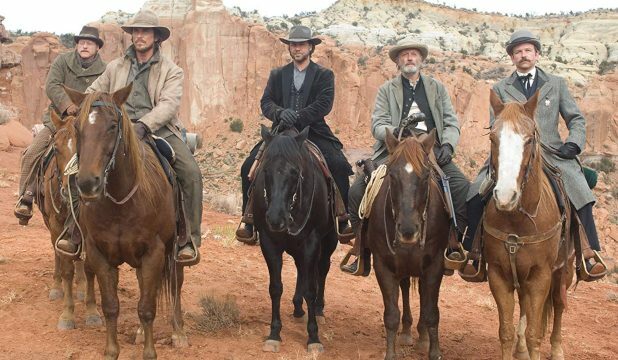 3:10 to Yuma is flat out one of the greatest modern westerns. James Mangold adapted the Elmore Leonard short story and the 1957 Glenn Ford film. 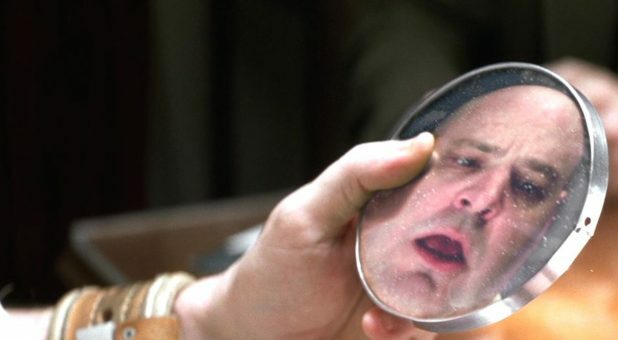 Also, this is the best Russell Crowe has done since his Gladiator/A Beautiful Mind renaissance. His Ben Wade is the best kind of villain. He has purpose, a moral boundary, is very dangerous, clever, and charming. The story is pretty simple. A poor rancher has a run in with Ben Wade and his gang. Eventually, he winds up being part of a posse tasked with guarding him. He has a date to be on the titular train, but his gang is having none of it. James Mangold provides us with beautiful vistas, perfectly choreographed action, and a wonderful display of acting prowess. It can be said with confidence that James Mangold’s near-masterpiece, Girl, Interrupted, is the best psychiatric hospital film since One Flew Over the Cuckoo’s Nest. The film tells the true story of Susanna Kayson’s (Winona Ryder) 18-month stay at Claymoore Mental Institution. She had a nervous breakdown and overdosed as a result. In the hospital, she meets a wonderful cross-section of other troubled women. There is Brittany Murphy, Elizabeth Moss, and Clea DuVall, among others. However, the main even in Girl, Interrupted is, of course, winner of the Best Supporting Actress Oscar in 1999, Angelina Jolie. Jolie is a tour-de-force. Her Lisa manipulates, charms, and disgusts at any given time, and sometimes all at once. James Mangold’s direction and superb screenplay keeps all of the mental illness drama and comedy reigned in properly. Lisa’s, or any patient’s sickness for that matter, is treated respectfully and excitingly. When you laugh, it feels appropriate. 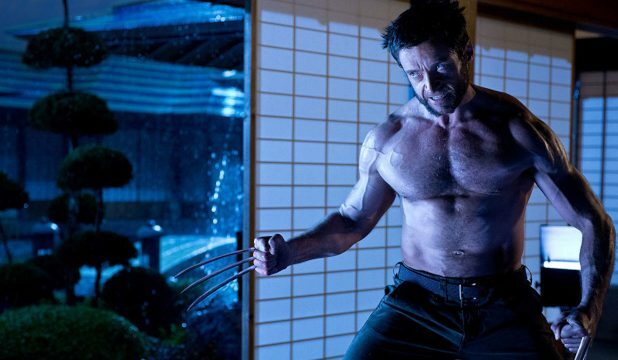 Hugh Jackman’s role as The Wolverine is one of the most iconic comic book characters of the past twenty years. Through several X-Men movies, we got to see all the slashing and all the quips and we all fell in love with him. Then James Mangold got ahold of him. As stated earlier, his The Wolverine was a solid entry into the Wolverine mythology. However, Logan is something else. 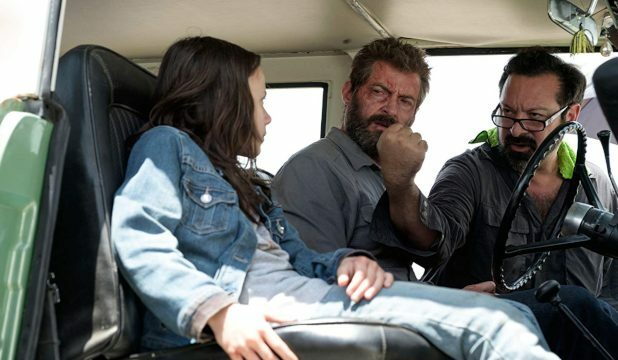 James Mangold had no interest in making a traditional X-Men movie. What he did was make a gritty, emotional, modern western that could not have been a better send-off for Jackman’s Wolverine.